DPIC contacts state agencies, state death penalty organizations, and death penalty litigators and tracks news articles to determine the number of death sentences. We only count "new sentences," i.e., we do not recount individuals who were sentenced to death in a previous year, had their sentence overturned, and were resentenced in the current year. Sentences are only counted when a judge imposes the sentence, even though a jury may have returned a death verdict earlier. An additional 40 counties had one sentence each. 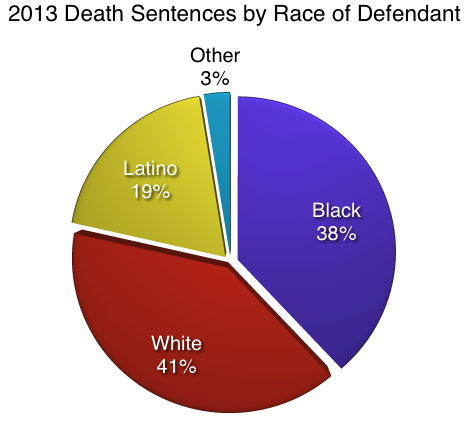 An additional 6 states had one or two death sentences each. 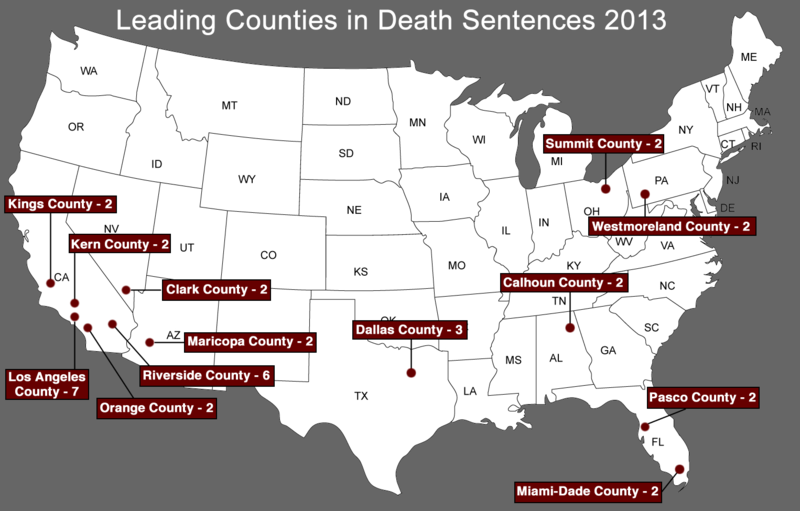 In all, 15 states imposed death sentences, out of 32 states with the death penalty. We invite any additions or corrections to this list. Contact us.